Are You Limiting Your Own Growth? You’re determined that your business is going to grow like gangbusters this year. Every business wants to grow of course, but this is the year you’re really going to make things happen. And that’s as far as you’ve gotten. You’re not sure what to do, how to plan, or how to work with your people to achieve your overall goal of growth. You’re right in that this growth, and the desire for growth, has to emanate from you. You’re just not sure how to break down the growth into achievable and measurable steps that are practical and workable instead of just having a vague overall goal. So let’s help you figure out just what exactly “growth” means for you and your business and what steps you can make to achieve it. In order to understand where you want to go you’re going to want to know where your business sits now. Where are your sales at? What’s your ROI on marketing? If you’re aching for growth then obviously these numbers are not where you want them to be. Here’s an important point – when you approach your sales or marketing people it’s not to pressure them into upping their game – they’re already doing their job to the best of their abilities. Do this instead – go to them with the goal of finding out how you can help them. Your questions won’t be about why they’re not delivering numbers that you want; rather you’re there to ask them what single point (or two points, or three) makes your product or service harder to sell than it should be. Or do they feel that your current marketing or branding tactics aren’t clear on what you’re selling, or are they not clear enough about what pain points they alleviate for customers? Find out what they need – don’t demand from them what you want. Now it’s time to get measurable goals down on paper. “Growth” is not something you’re going to be able to measure with a milestone. Be specific. Let’s say you choose to double your net profit while maintaining the same marketing budget you have now. Can you break this down further, into smaller milestones? Breaking steps down into smaller chunks will present you with more achievable steps. Each step will now have a variety of possible methods to achieve them. That’s far easier to work with than one big goal of “growth” – plus you’re going to feel good each and every time you cross another one of those sub-goals off of your calendar. These smaller steps will also help identify who needs to work on which problems. Some of these steps will identify with marketing, others with admin. You’ll have a much better grasp of who can help you deal with which task. You’ll also be able to see where to steer any additional investment dollars. Every dime you put into your tasks will have a much greater ROI than just throwing money at the company as a whole in the hope that “growth” will occur. So you’ve made your list of smaller tasks identifying the hurdles that are slowing your company’s growth. Now physician, heal thyself. Clearing up leadership hurdles is going to make going down the corporate tree so much easier for you. If you’re streamlined you’re going to be far more productive and you’ll have the added bonus of your people seeing you working on yourself instead of only on them (which looks a lot like passing the buck). How do you know what department a hurdle belongs to? CEO – Your company’s actions don’t match your stated company values. Branding – You think your big selling point is X but customer reviews either don’t recognize that value, or even worse, they disagree, and your service or product is known for something else. Financial – You simply don’t know where your money is going. 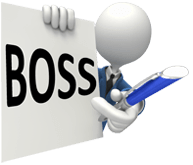 Management – You have a consistent turnover in quality employees. If there is constant churn then there’s either a compensation problem or your people are feeling their own career goals stagnate. Marketing – You haven’t yet identified your core client base and what they desire most from a product or service like yours. Sales – Your sales people aren’t confident when they relate your product or service to your client base. Having identified the smaller hurdles, where can you get the most return in allocating your money or time? Where in the overall process is your product or service at its weakest? You now have something substantial for your various sections to work on. And that’s the key – let your sections do the work. Let them own their hurdles – they’re going to feel like their work really means something both to their own career-building and to the company as a whole. Your work here involves talking with the team to find out what you can provide for them to accomplish their sub-goals. Aside from that do keep an eye on each team’s manager. Are they getting it done? If they’re struggling, is there anything you can guide them with or give them to help them out? Or are you perhaps discovering that you don’t have the right person in the team’s driver seat and that it’s time to try someone new? Schedule a meeting or two. Share with your talent why you’re excited about what you hope to accomplish in the next 6 months, in the next year, what you hope to accomplish the year after that if you and your people achieve this year’s goal. Let them know what it is they’re building and that their work matters. And let them know what they’re going to get out of it if they achieve this goal, and then the next goal, and so on. You’ve set the ball in motion… now let it roll. All of your hard work in the previous steps can really only be truly undermined by one thing – you. Yes there will be mistakes made. Every business is an ever-ongoing experiment, and experiments mean you’re going to have to sometimes learn the hard way about what not to do. Expect the mistakes. Here’s where real leadership shines – yanking the rug out from under your people when something goes wrong says far more about your distrust than it does about your talent. Guide, yes. Offer help, yes. Blame, no. Be vocal about leaving problems in your people’s hands – it’s a big show of trust. That faith is going to pay off when your talent works all the harder to correct mistakes in an effort to prove that they’re deserving of that faith. That’s a sign of your people growing in their roles. When your people grow, your company grows. And that was the goal all along, wasn’t it?